I don’t think it is a secret that our family loves adventures. We were very excited to be invited to visit the Rhondda Valley with Love The Valleys. Our family has visited South Wales many times but often head to the coast. So it was very interesting to see what was on offer inland. Now that the Severn Bridge is free to cross, I’m sure many more families will be visiting the valleys from Bristol, Bath, The Cotswold and Wiltshire. We headed west on the M4 for and then up the A470 up into the valley for our first stop of the day to Rhondda Heritage Park. Rhondda Heritage Park is bursting with character and history. We received a guided tour by a very knowledgeable ex-miner. 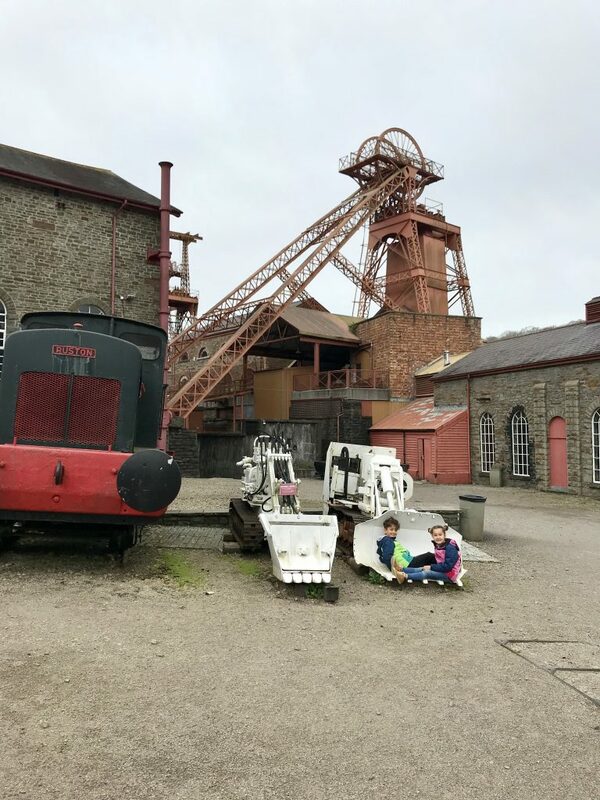 The attraction is situated on the site of the old Lewis Merthyr Colliery. The tour showed us key areas of the site. 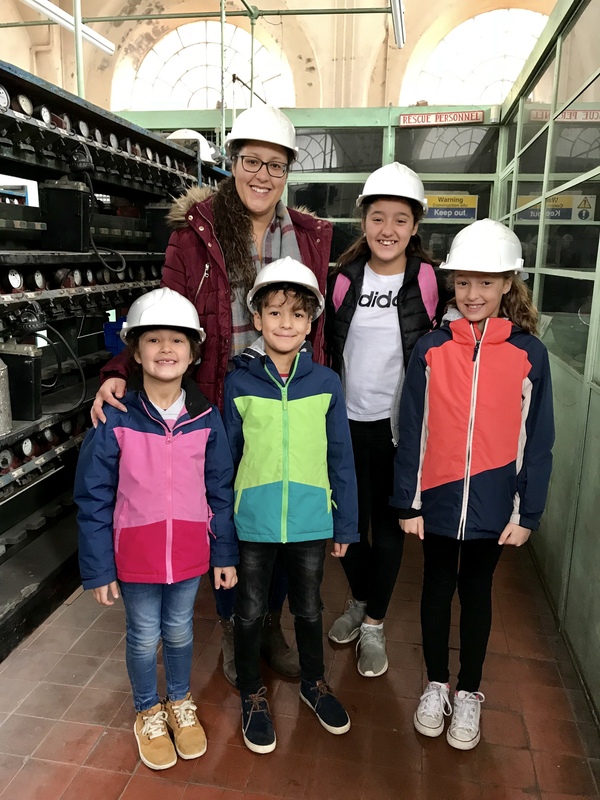 We saw the mineshaft wheel working which the kids were amazed by. Then heard about the history of the mine, including stories of ex-miners and the wealthy owners. The group headed to the lamp room to be kitted out with our hard hats. When we headed down into the mine it was very authentic. The children were amazed to hear that children used to work in the pitch dark of the mines opening and shutting doors, not an iPad in sight!!! Rhondda Heritage Park also has some example shops and fun children’s park. The Caffe Bracchi is a very authentic little Welsh cafe that offers a great range of refreshments including so seriously yummy welsh cakes. 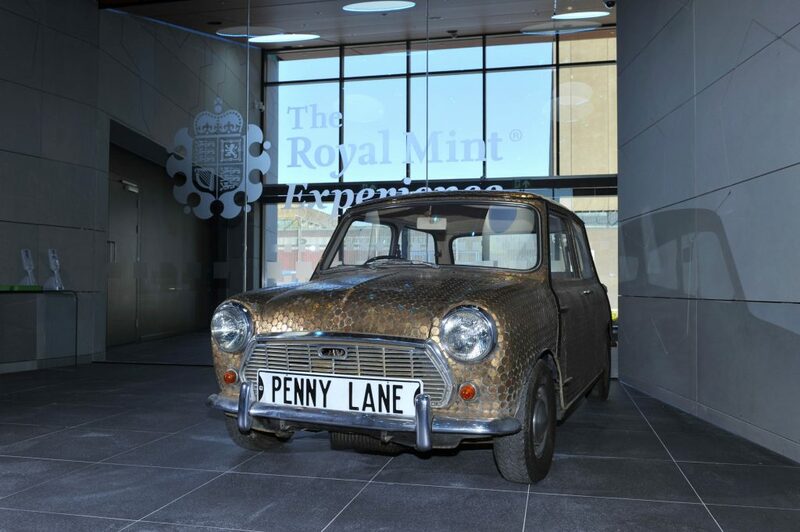 After lunch, we took a 20-minute drive to Llantrisant to The Royal Mint Experience. My 9-year-old is an avid collector of ‘special’ coins, so she couldn’t wait to see how they were made. The site is top secret so all phones and cameras aren’t allowed during the mint tour. Faryl was excited to think he was being let into some secret info! The enormity of the production process was instantly noticed by the kids. An unbelievable 60 plus countries worldwide have coins produced at The Royal Mint. My children that came along ranged from 5 years to 11 years and they all were interested. The tour showed us inside the factory, where you could see and hear the money that has recently been made. The process of putting the head and tails on a coin is to ‘stuck it’. 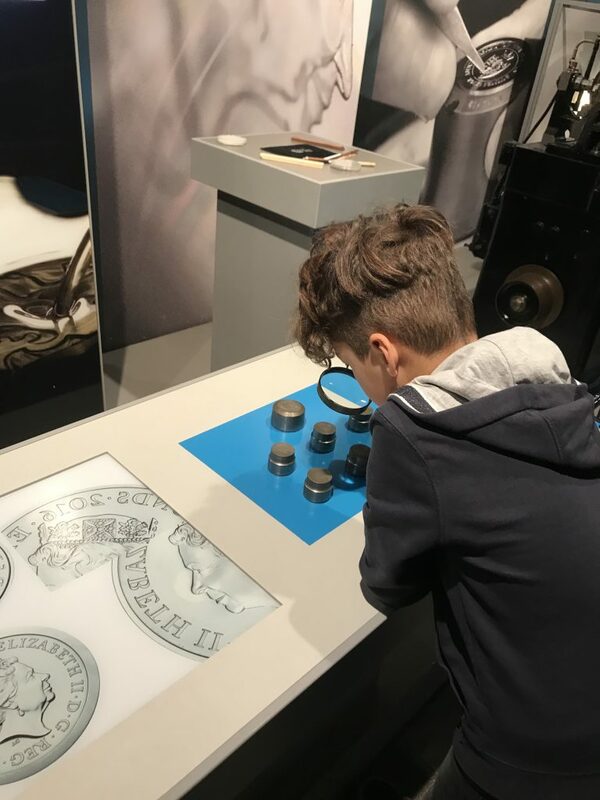 At the end of the tour, visitors had an opportunity to stuck their own coin. The kids brought their special 50ps home to show their teachers. The tour guide was very informative and happy to answer the kid’s questions. Our day ended with a walking tour around the town of Llantrisant with Dean. We saw the site of the old castle and the heard about the renovation of the Town Hall that opens later this year. Then onto the churchyard for the impressive view across the valleys. Apparently on a clear day, you can see as far as the Bristol channel. Then on past the towns cottages and shops to The Bull Ring, which has a whole load of history of its very own. We were full of new findings and we chatted about our adventure all the way home. We were given a pack bursting with details of lots of other local attractions and we certainly will be returning. Disclaimer – We worked with Love The Valleys to review these activities and share our findings with our followers.